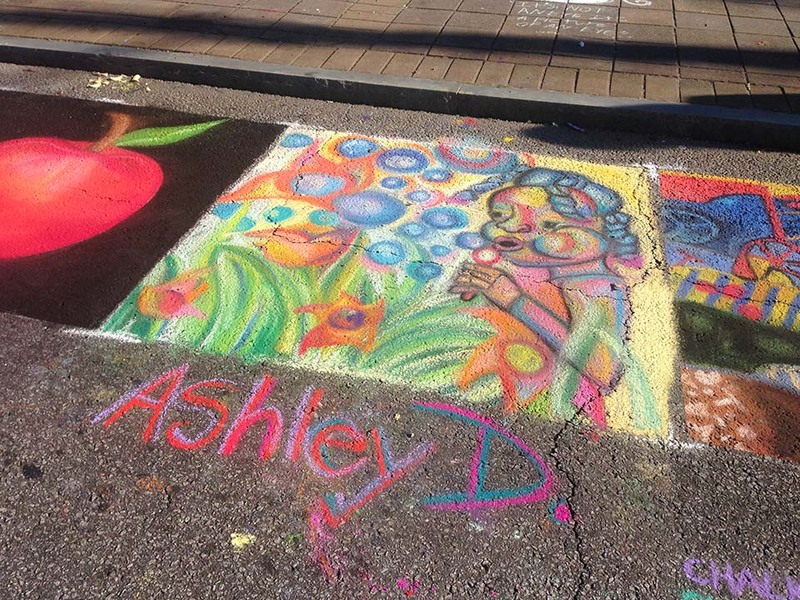 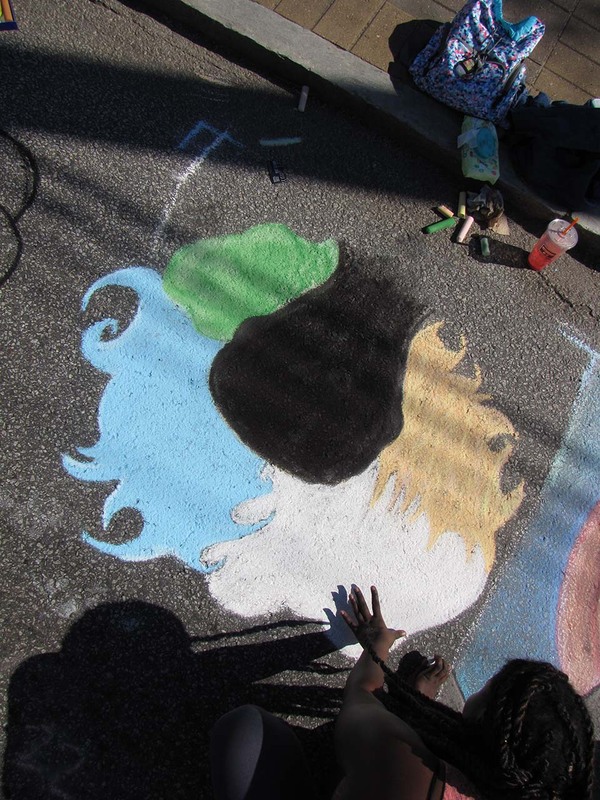 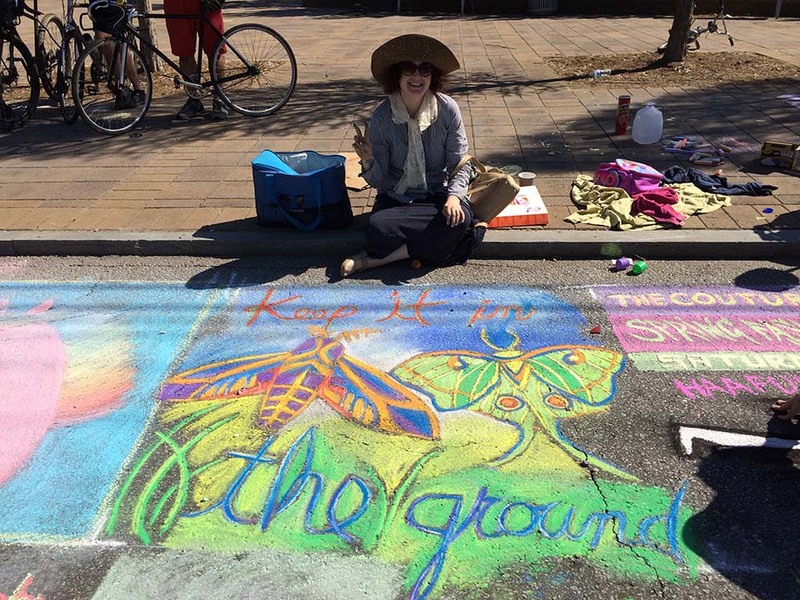 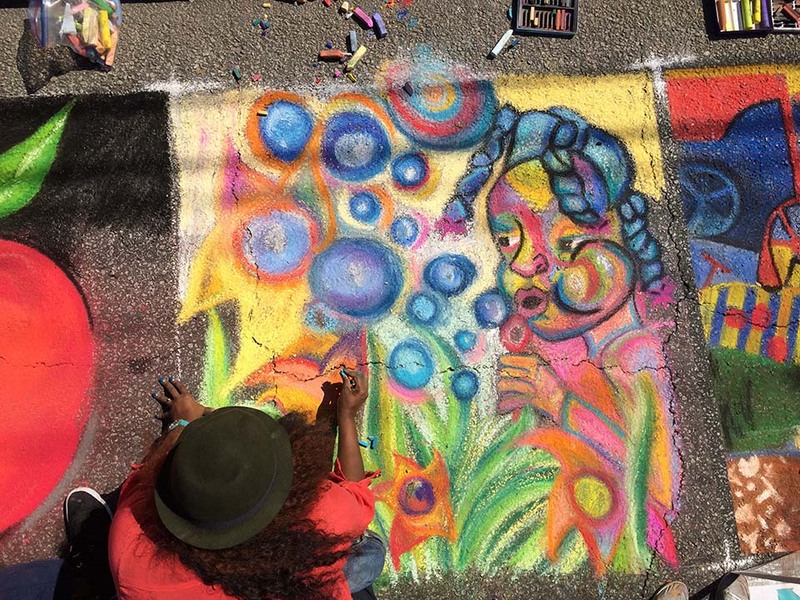 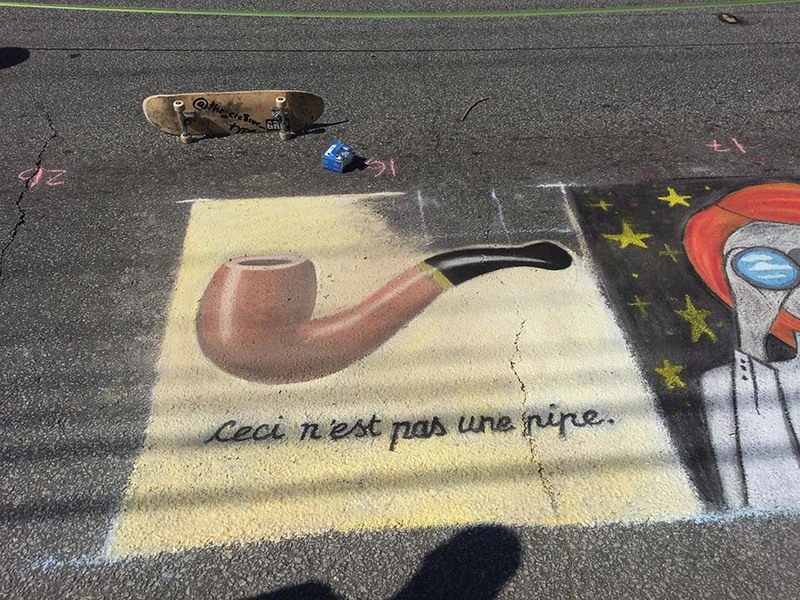 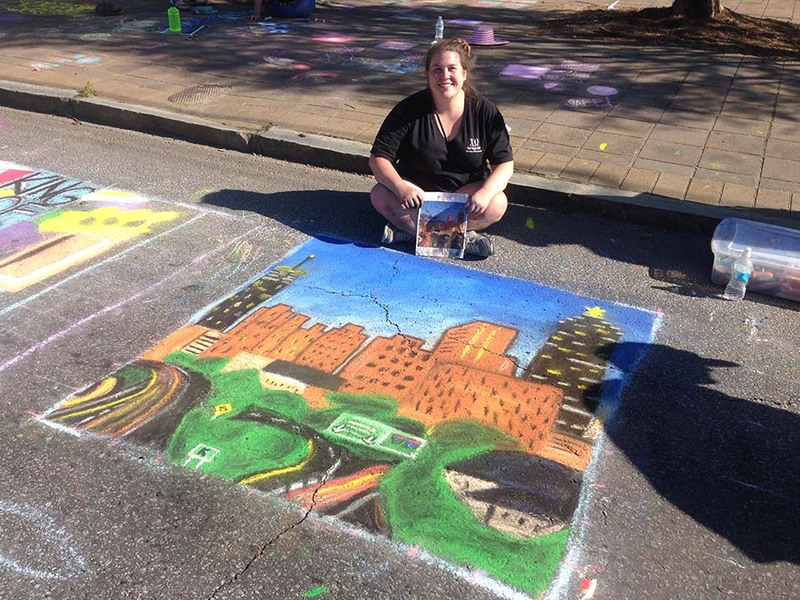 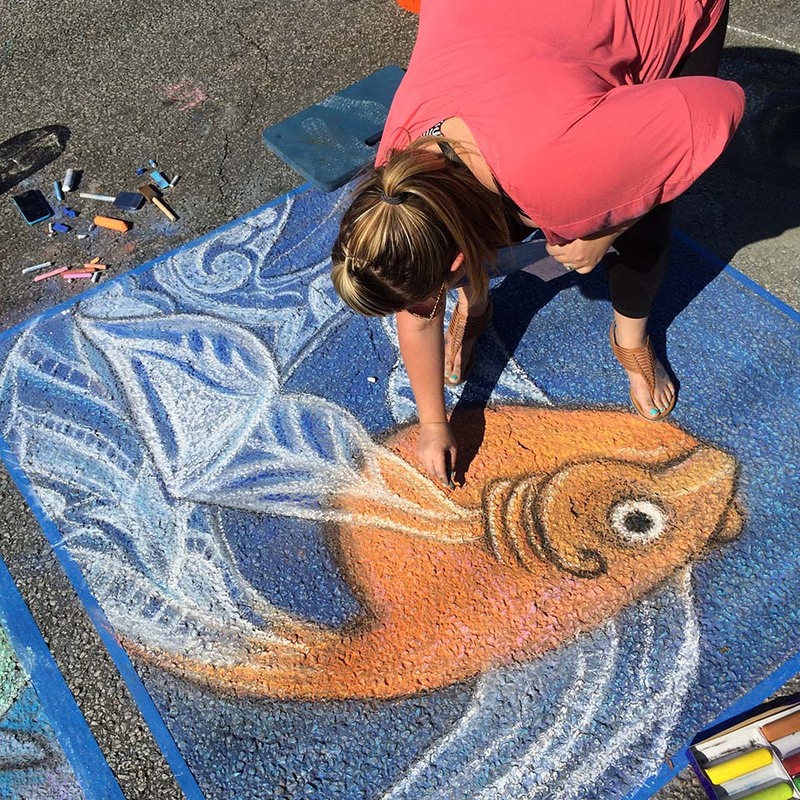 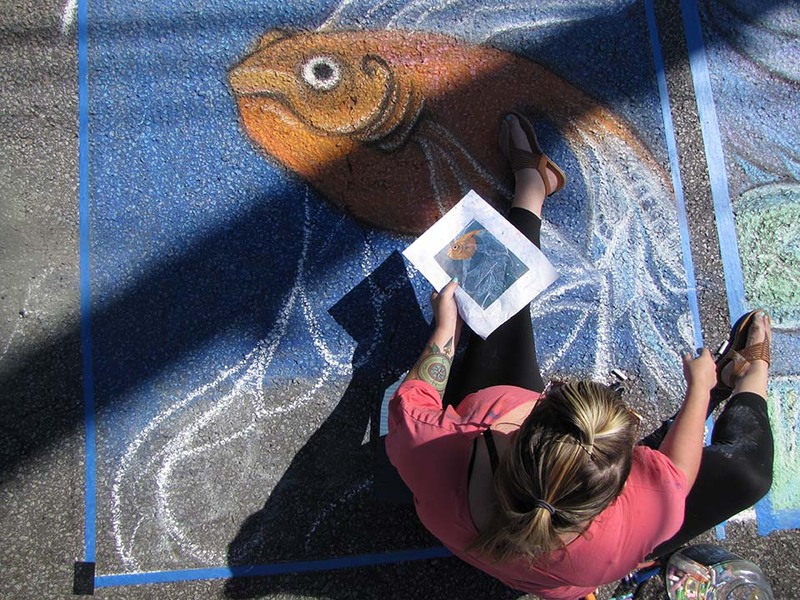 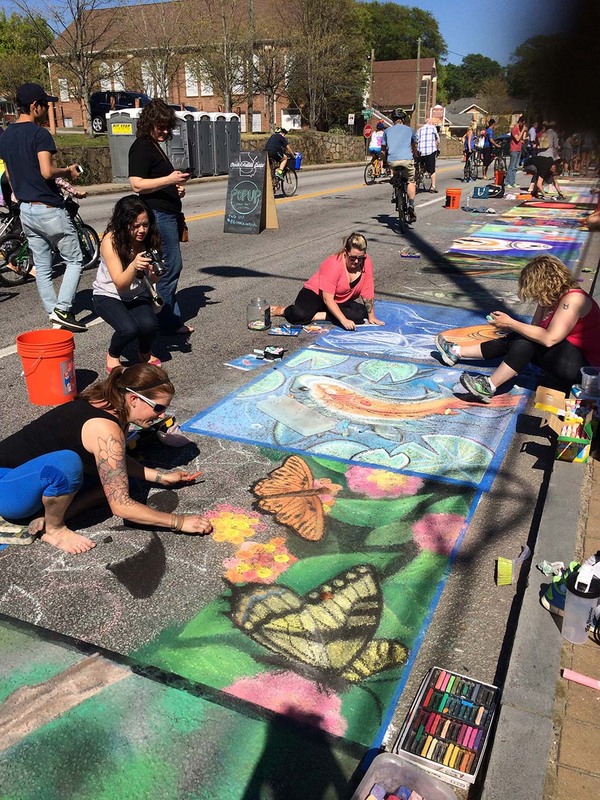 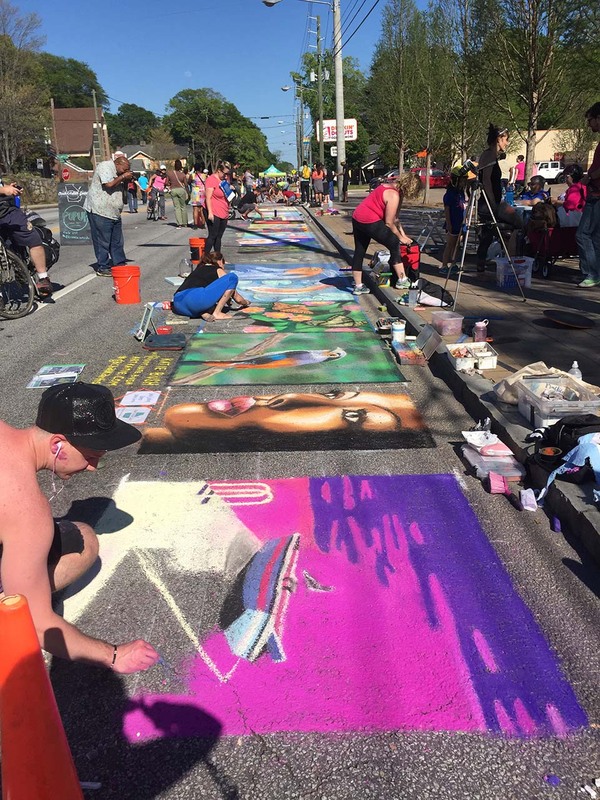 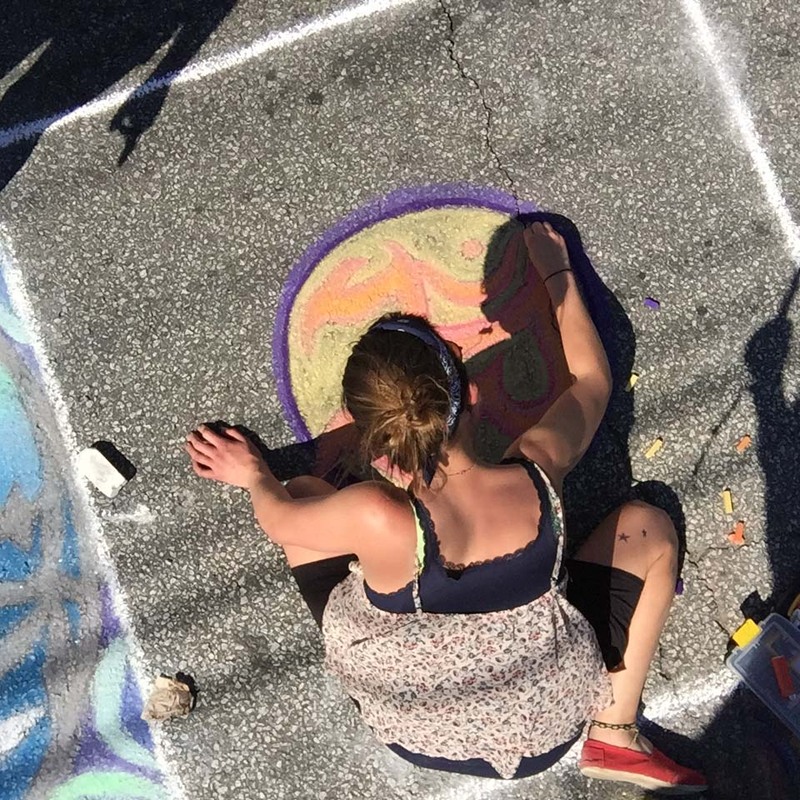 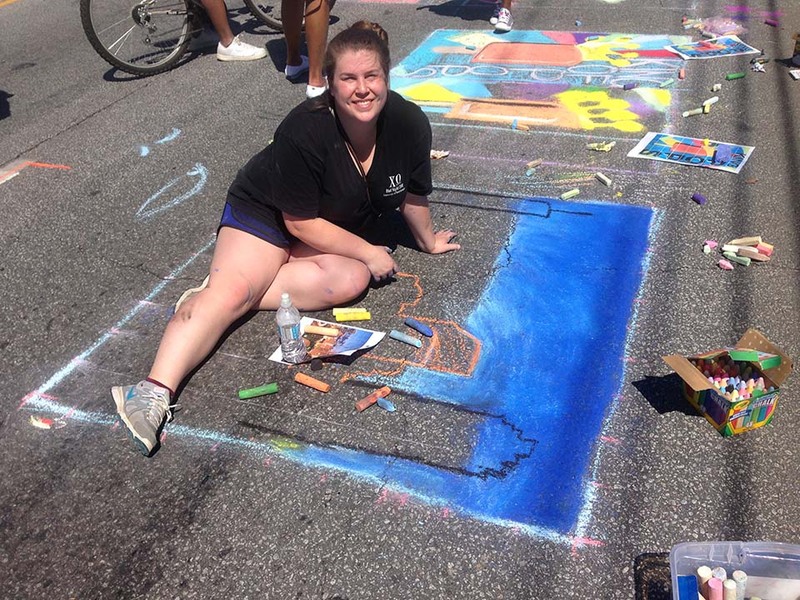 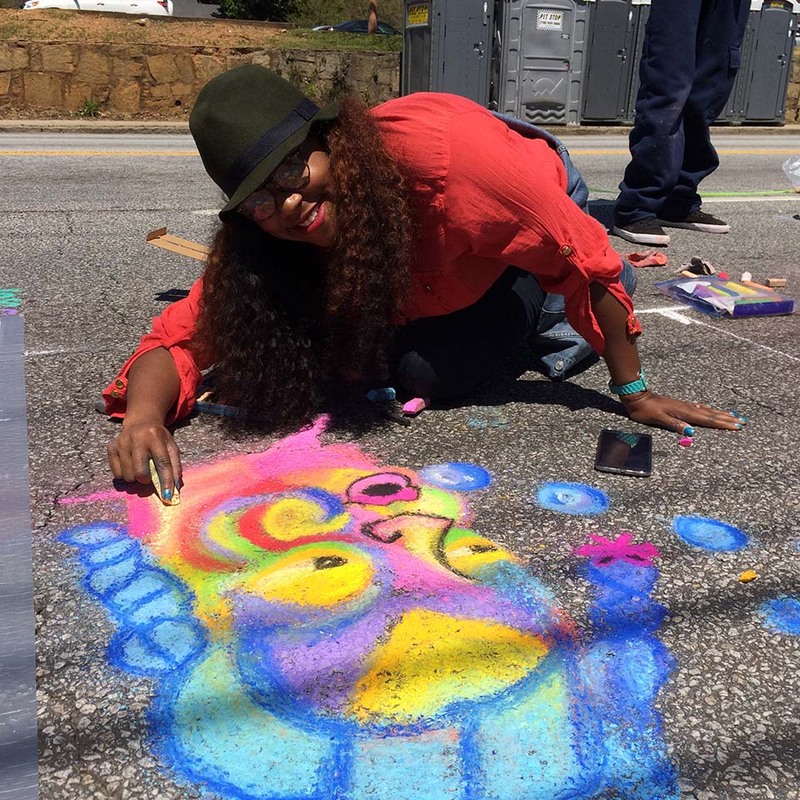 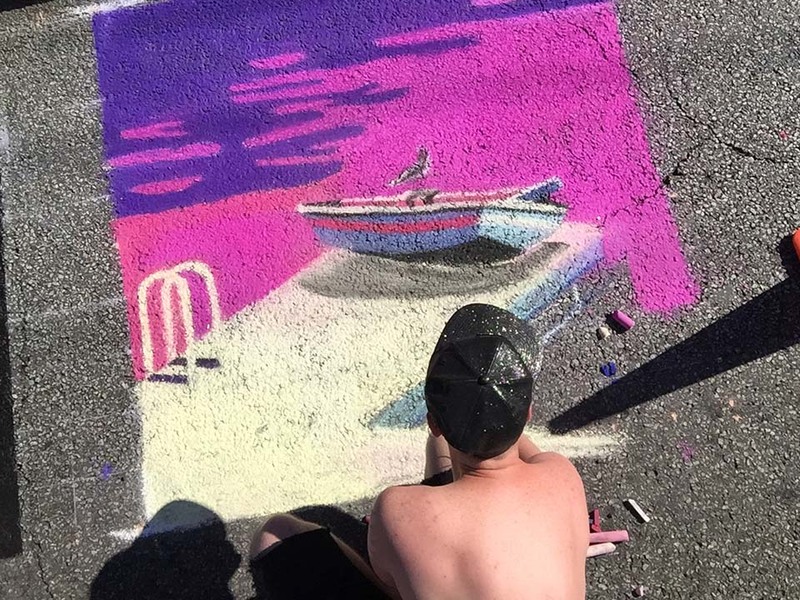 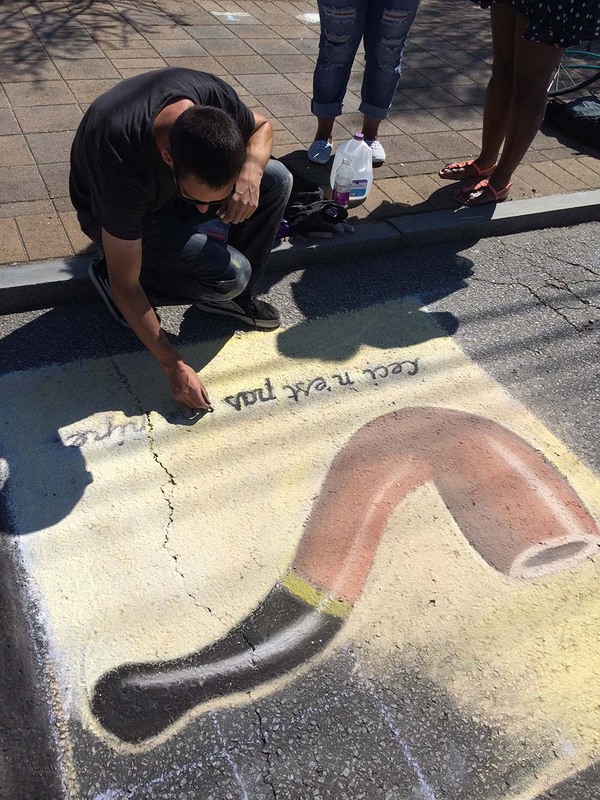 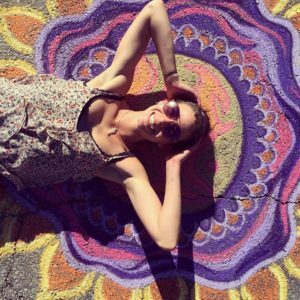 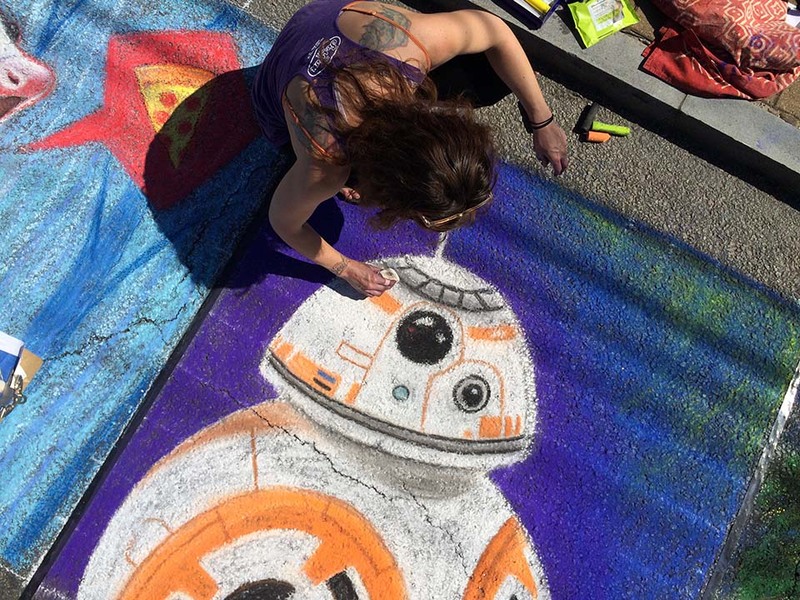 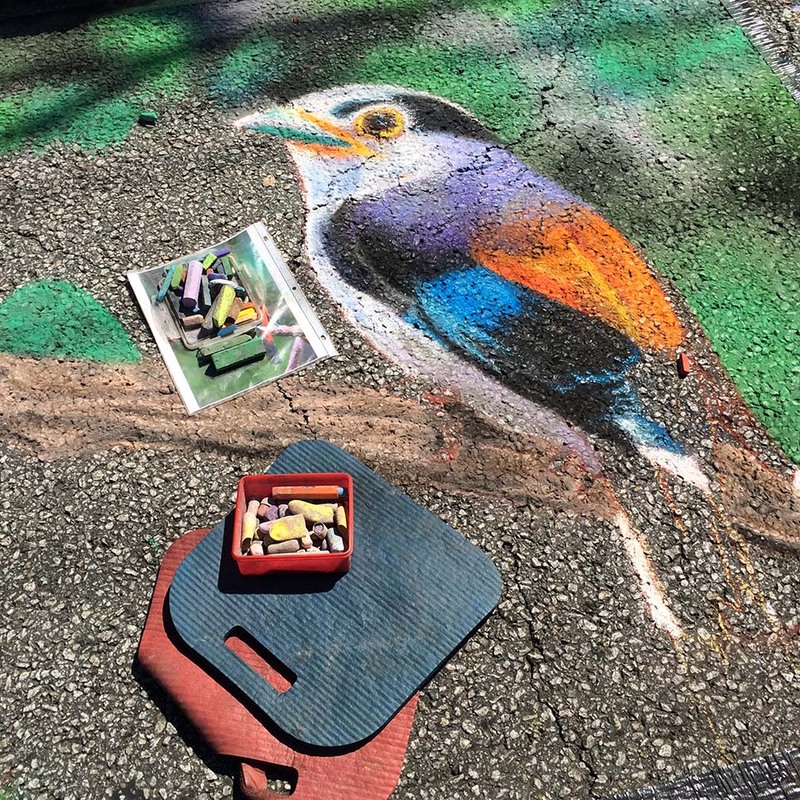 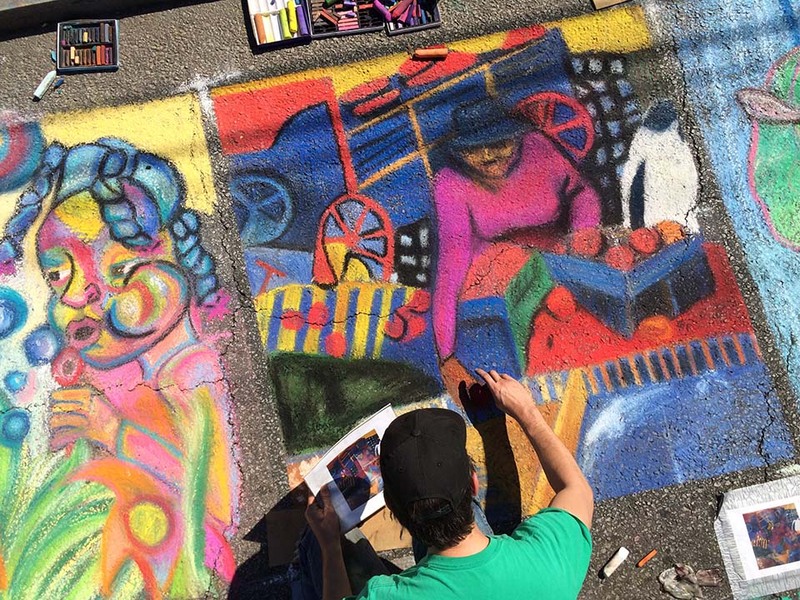 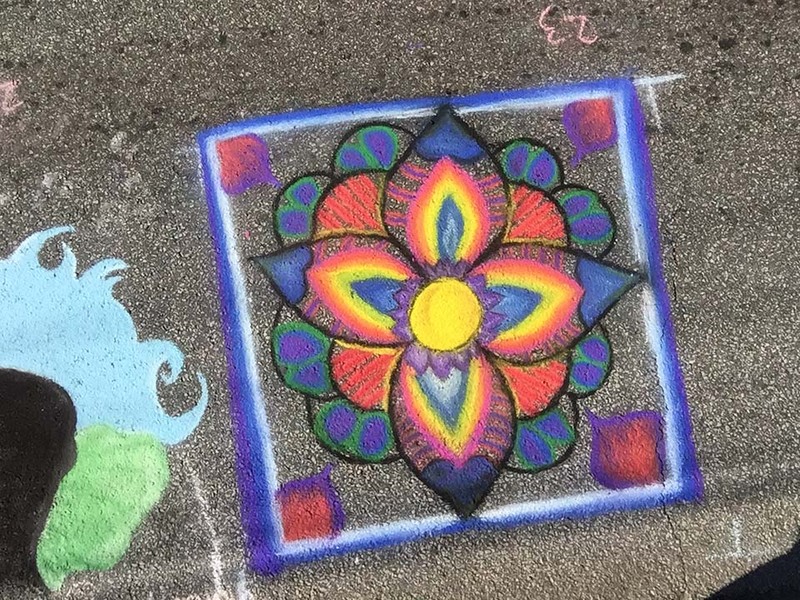 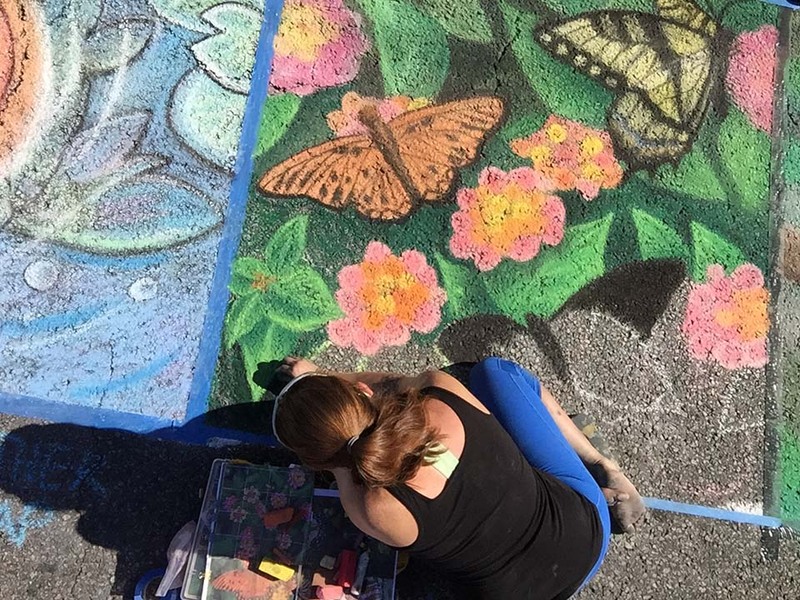 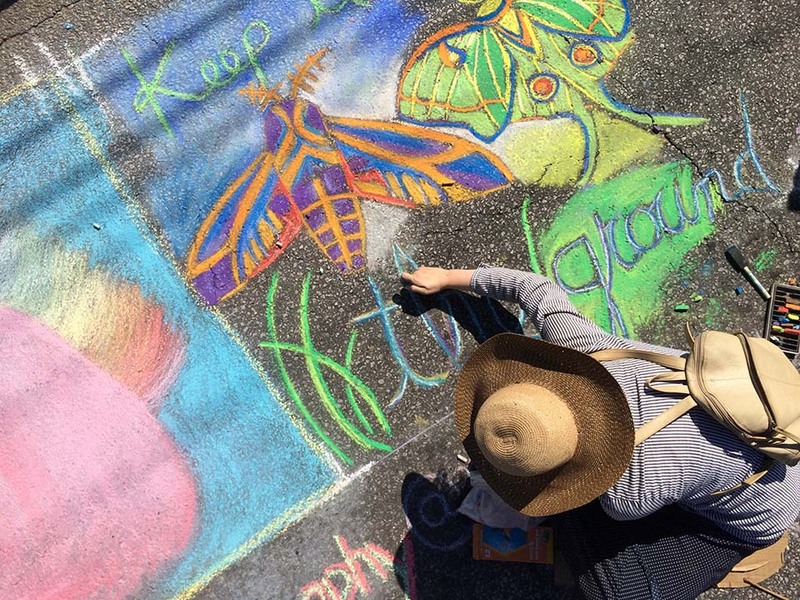 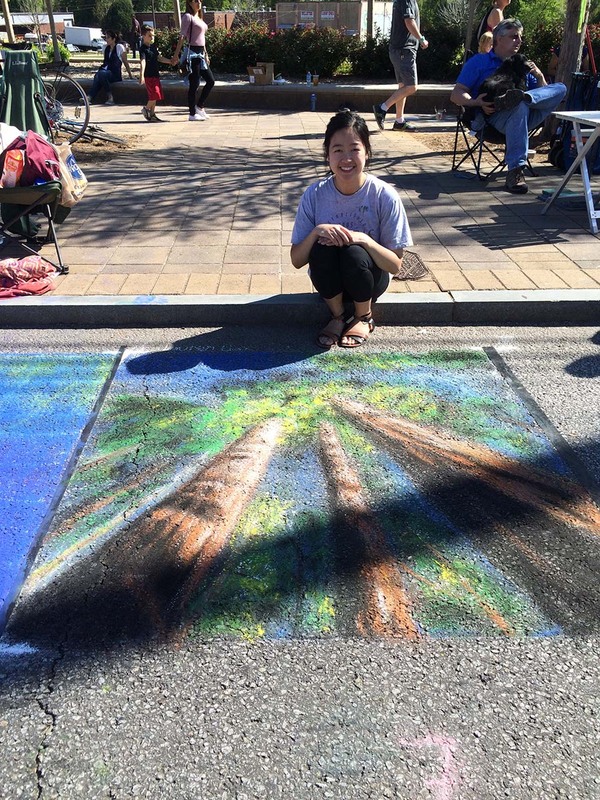 On April 17th, we had our second Pop-Up Chalk Festival as part of the Atlanta Streets Alive event. 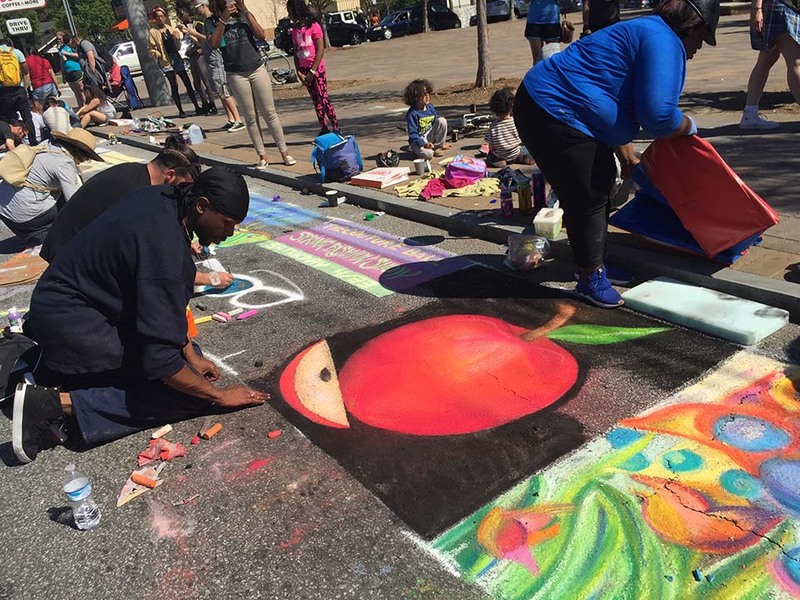 This spring the event was held on Ralph David Abernathy Blvd at Gordon-White Park in the West End neighborhood of Atlanta. 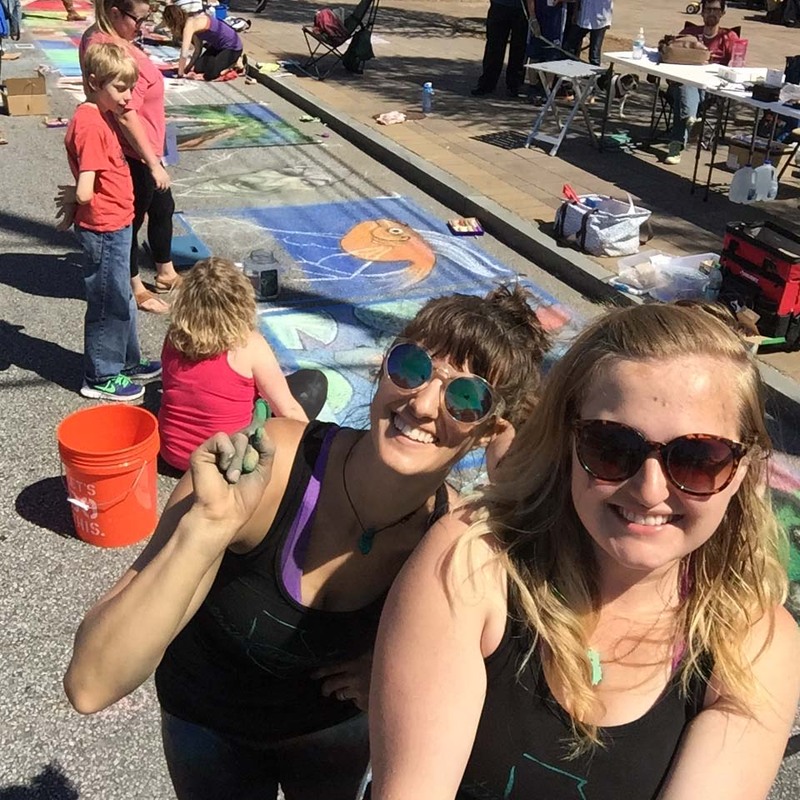 Over twenty artists joined us to create their own 5’x5′ masterpieces. 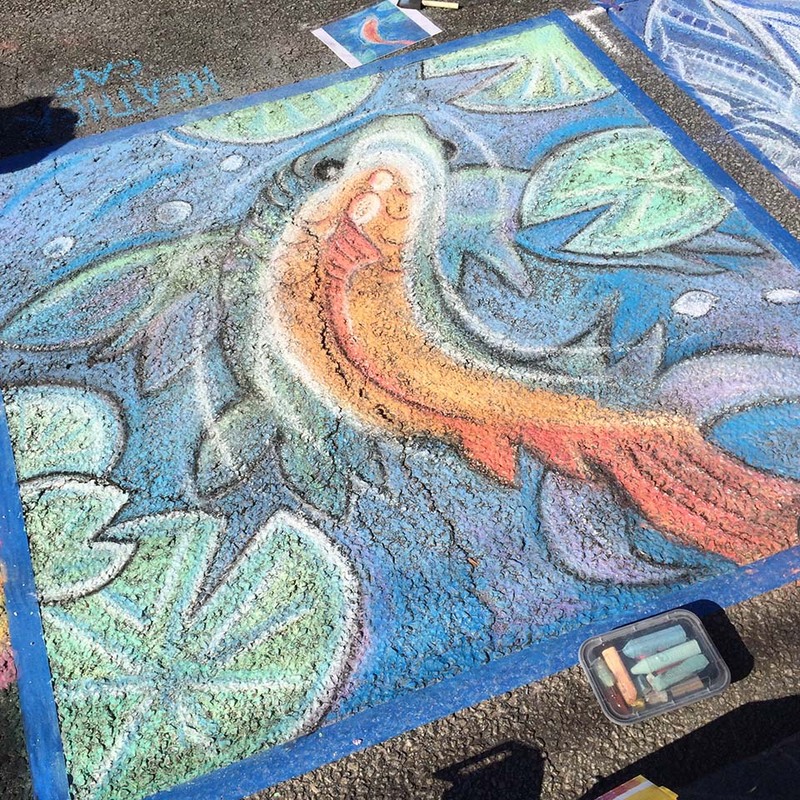 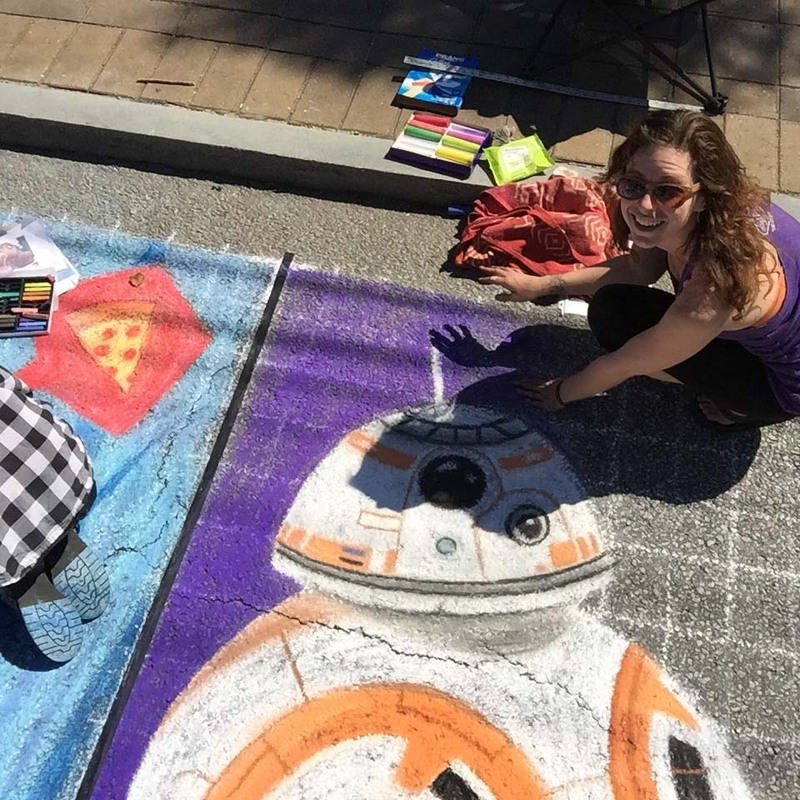 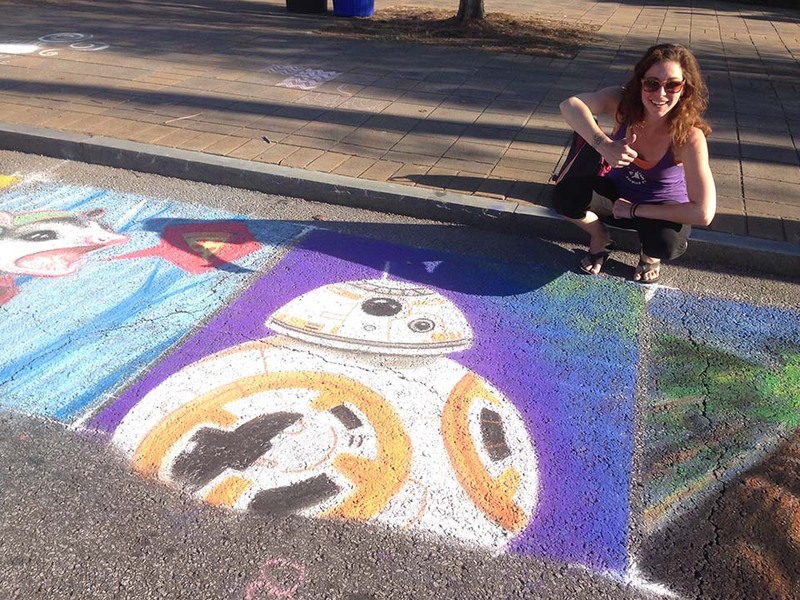 The event was a lot of fun and it was great seeing so many of our member artists all chalking at the same time. 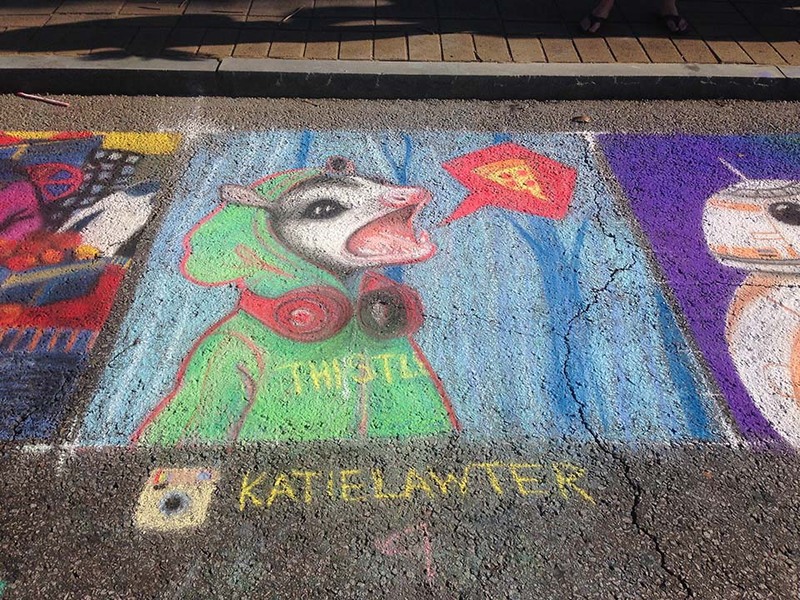 Members present included Jessi, Katie, Meg, James, Kristen, Tippy, and Zach. 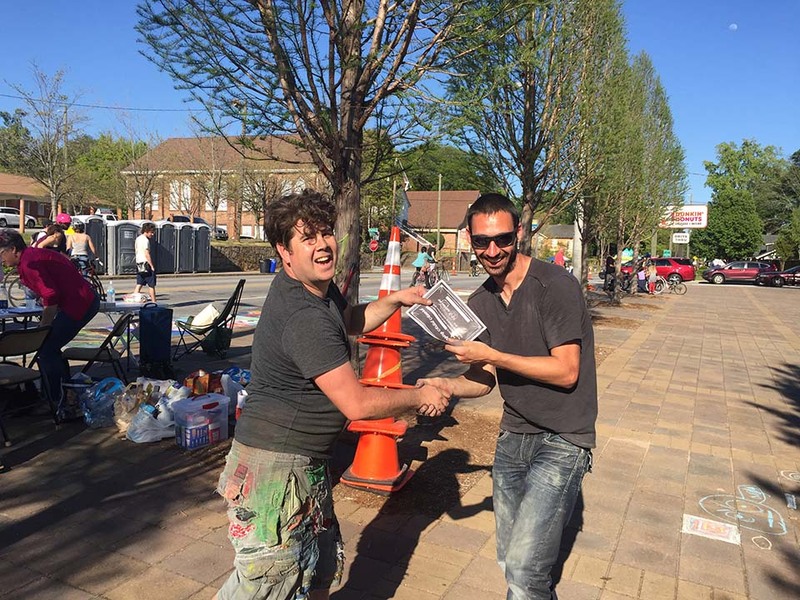 We also had a fair number of volunteers helping us as well. 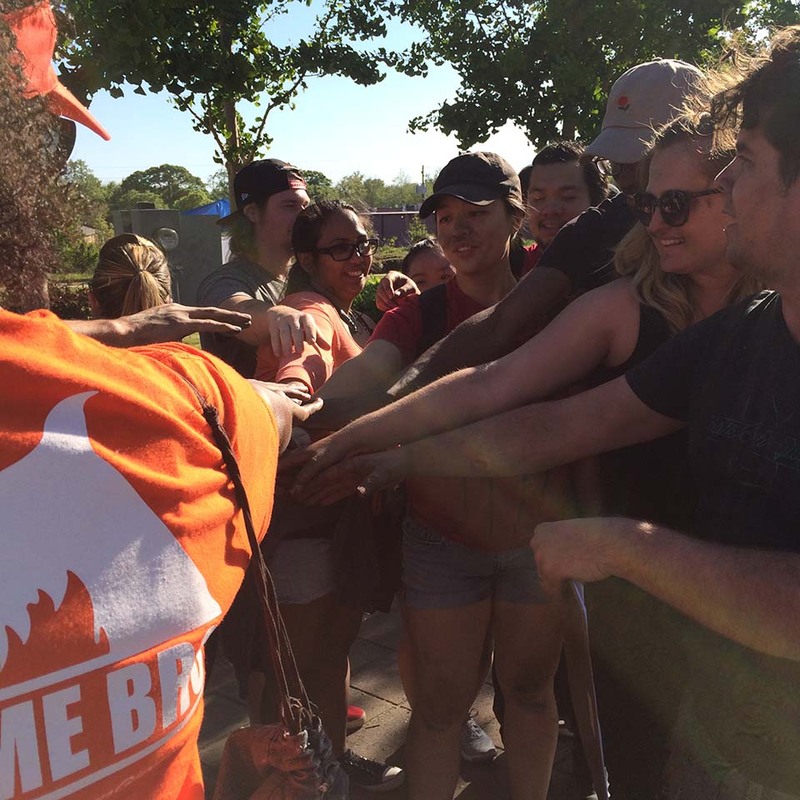 We couldn’t have done it without the help of Melinda, Amy, Kevin, Tanjeem, and Caroline. 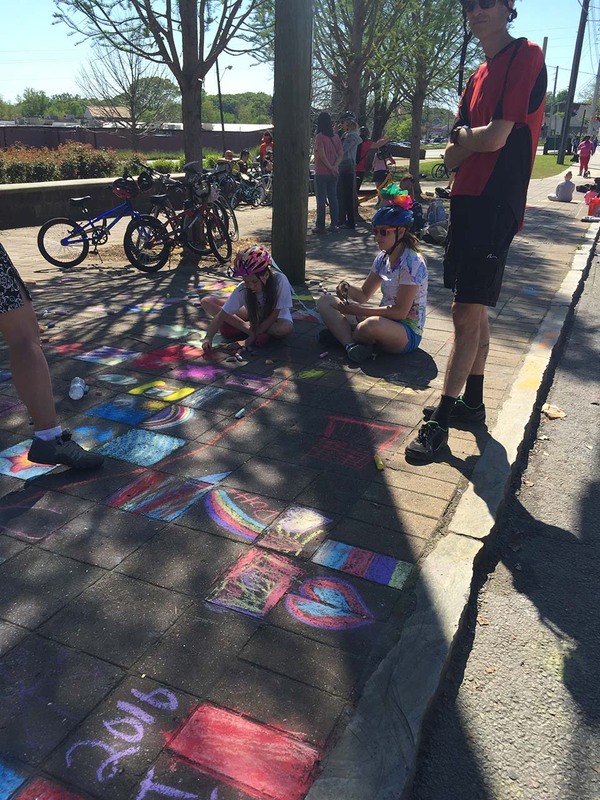 The event was scheduled to start at 2pm for spectators, however, there was a lot of interest immediately after we were set up at around 1pm. 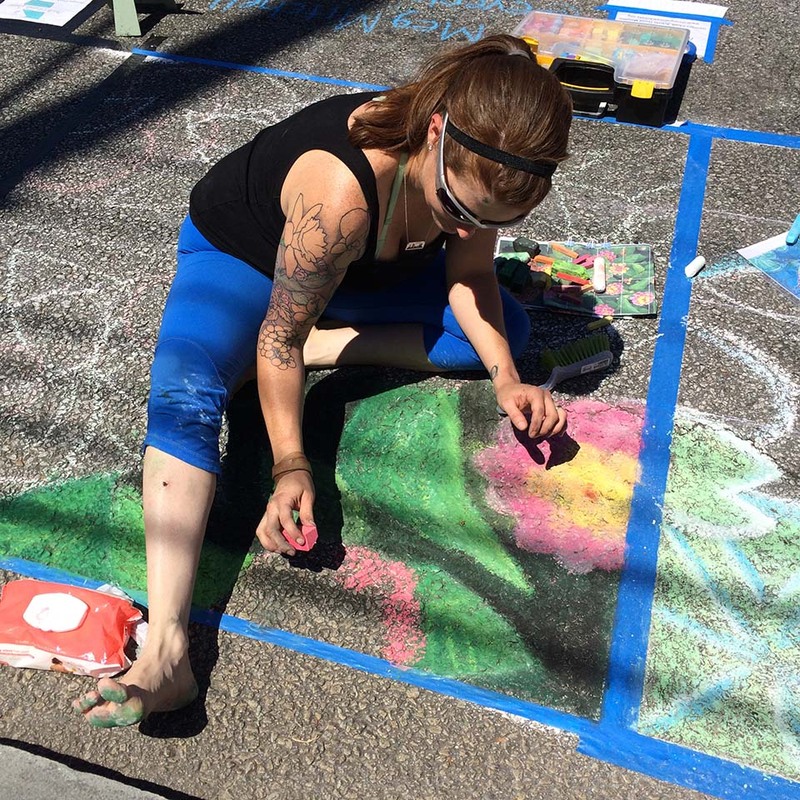 The community spaces filled up quickly but many walk-up artists improvised on the sidewalk nearby and we ended up with 11 large community pieces. 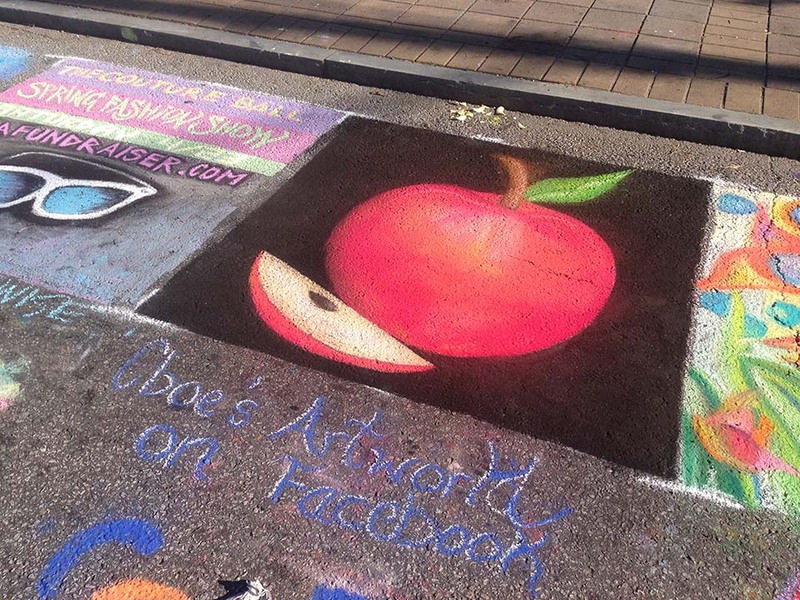 With the tremendous amount of creativity in the air it was destined to be a true success. 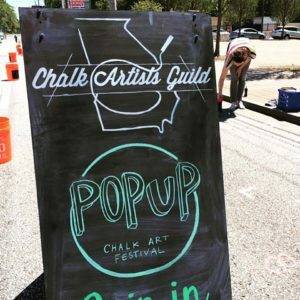 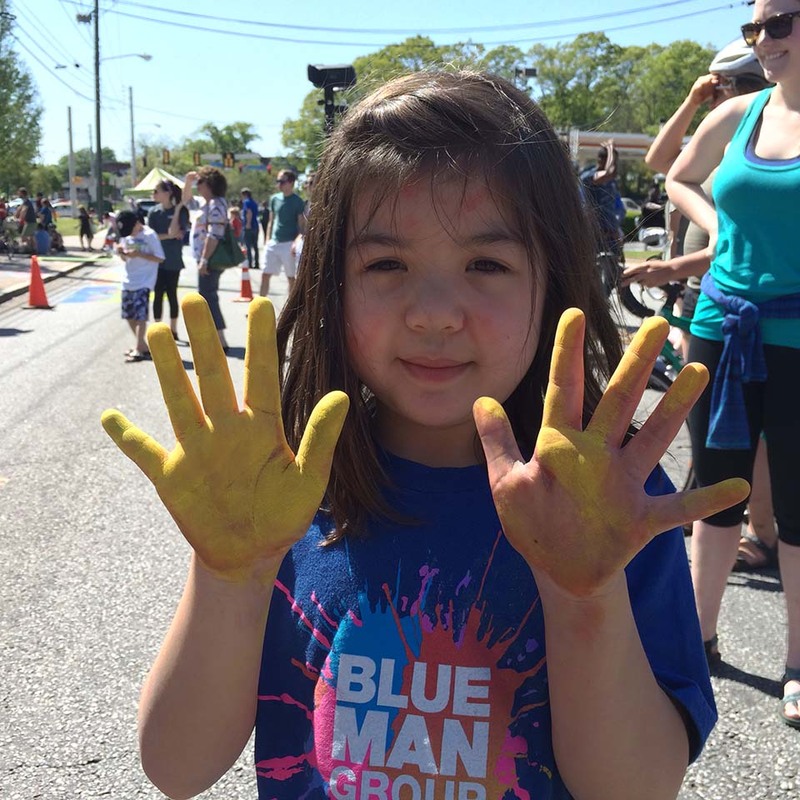 Volunteers and members were there at the Pop Arts Festival making the experience open to everyone. 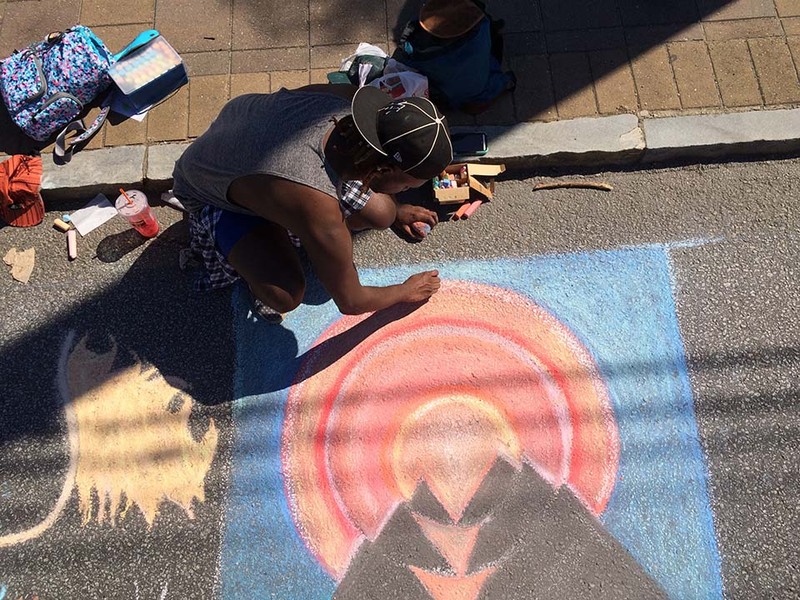 The event even gave interests to the locals in the community, showing their brilliant talent off in the community squares. 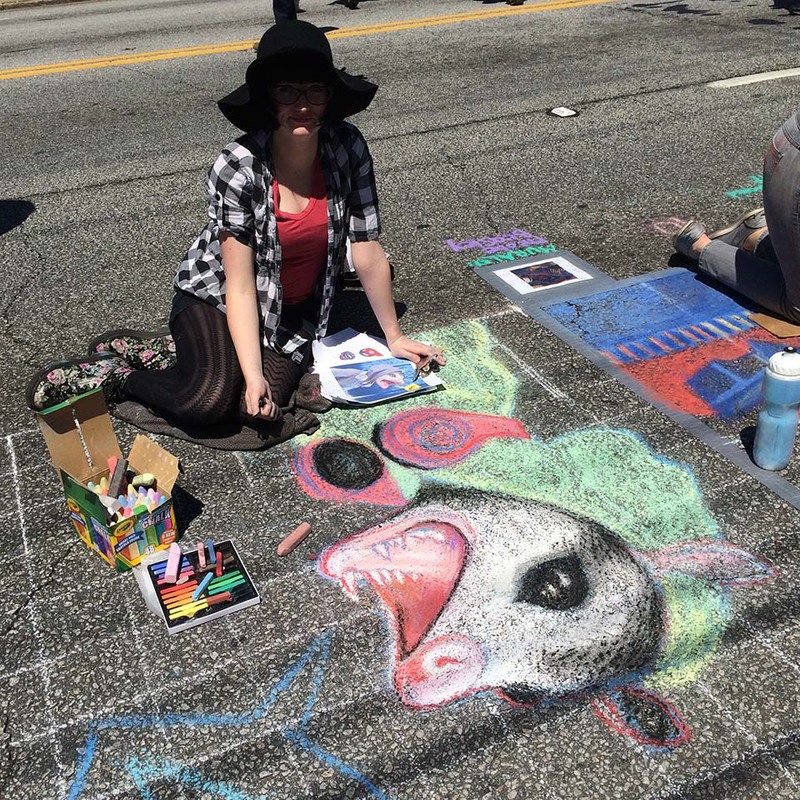 The atmosphere was eccentric with music and laughter filling the air. 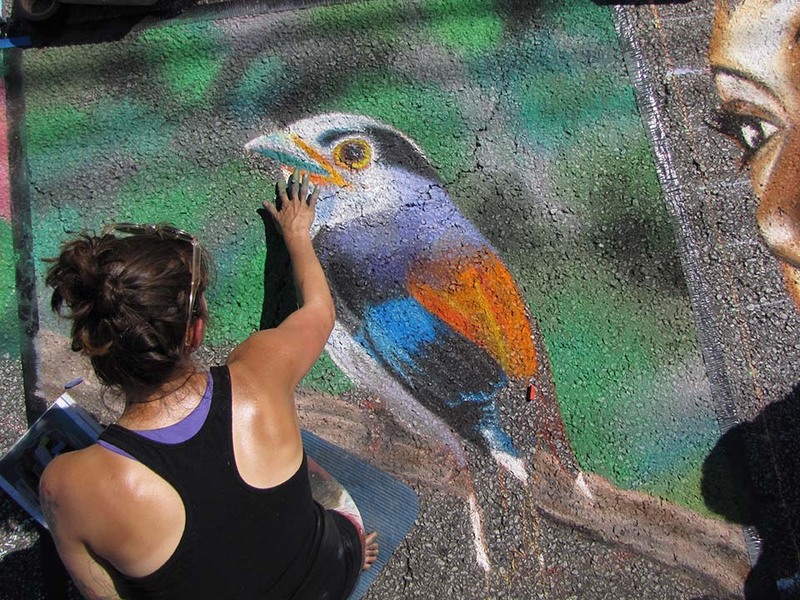 On the way side of the artists making magic, photographers were intrigued by their artwork and were clicking away. 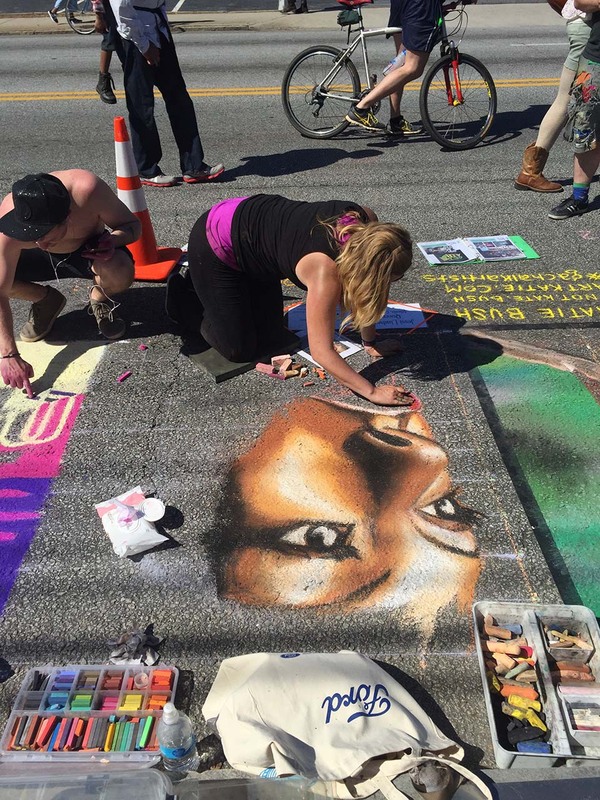 Even the passers-by were stunned at how much passion was being put into the chalk art stopped and gave a peek. 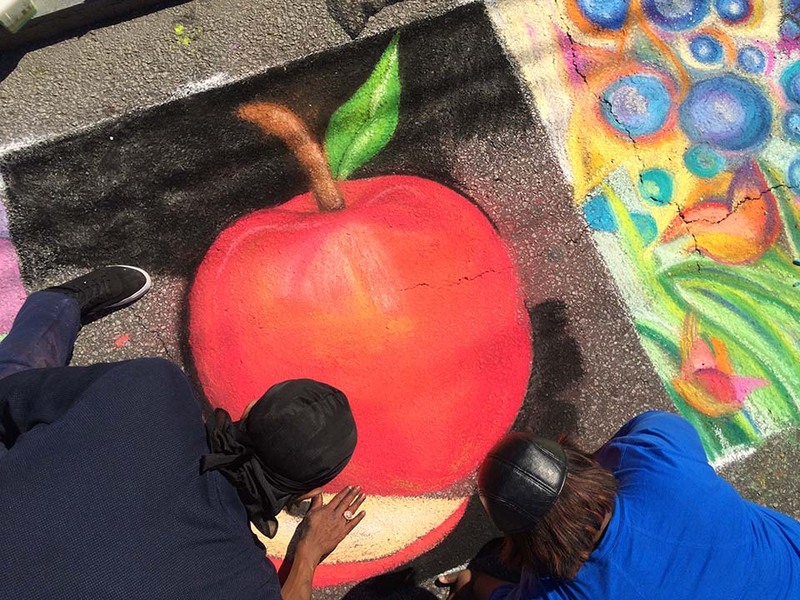 Nonetheless, this was definitely a great experience for anyone to be apart of.